WESTERN Australian meat processor Goodchild Abattoir has gone into administration this week, blaming a combination of declining throughput due to diminishing livestock supply in the region, and higher sheep and cattle prices. The company closed its domestic-licensed abattoir at Australind near Bunbury last weekend, and has announced plans to re-focus the separate Goodchild Meats business as a beef and lamb wholesaler based a Hamilton Hill, using a service kill provided by other WA abattoirs. The Australind plant employed about 60 staff, with capacity to process up to 1000 lambs/sheep and 150 cattle per day. The plant closure leaves just eight Ausmeat-accredited domestic or export beef plants in Western Australia, some of which are inactive. The new business model focused on meat wholesaling would enable Goodchild Meats to better match customer demand for beef and lamb with its quality livestock purchasing program, the company said. The company has contracted the Borrello Group at Gingin abattoir to process cattle purchased by Goodchild Meats’ buyers, and V&V Walsh to either process sheep purchased by Goodchild Meats or supply lamb in carcase form. Trading since 1968, Goodchild Meats has built a market presence supplying beef and lamb in either carcase or value-added form to a range of Western Australian retail butchers and wholesalers. The company purchased the Australind abattoir in 1978, a year after it was built. The wholesale business would be unaffected, and in fact would be enhanced, by the change, Goodchild Meats’ director James Goodchild said yesterday. “The Borrello Group and V&V Walsh are experienced, efficient meat processors and Goodchild Meats has no doubt the quality of the sheep and cattle we continue to purchase from our network of farmer suppliers will continue to be processed into quality carcases, which we will then supply or value-add for our loyal customer base of wholesalers, butchers and food service providers,” he said in a statement. The Australind abattoir closure move to third-party contract processing had occurred because the business had been negatively impacted in recent years by declining throughput due to diminishing supply, as farmers in the region moved from grazing to cropping, and higher sheep and cattle prices. “It was a tough decision to close the abattoir, however we had to make a decision in the best long-term interests of the company,” Mr Goodchild said. To elevate throughput at the plant in an effort to achieve efficiency and profitability, Goodchild Meats had been purchasing livestock that were surplus to its base-level demand, and then had to discount that meat to shift it out of the chiller, he said. The change to a third-party contract processing model would enable Goodchild Meats to more closely match its sheep and cattle purchases with customer demand, and in the process create a more financially robust wholesaling business. “This will provide our livestock suppliers and meat customers with the confidence that the company will continue sourcing livestock and providing quality beef and lamb for at least another 70 years,” Mr Goodchild said. Goodchild Abattoir has stated discussions with abattoirs in the area about alternative employment opportunities for the Australind abattoir staff. The Goodchild butcher shop, attached to the company’s boning room, will also continue normal operations, selling beef and lamb direct to the public. 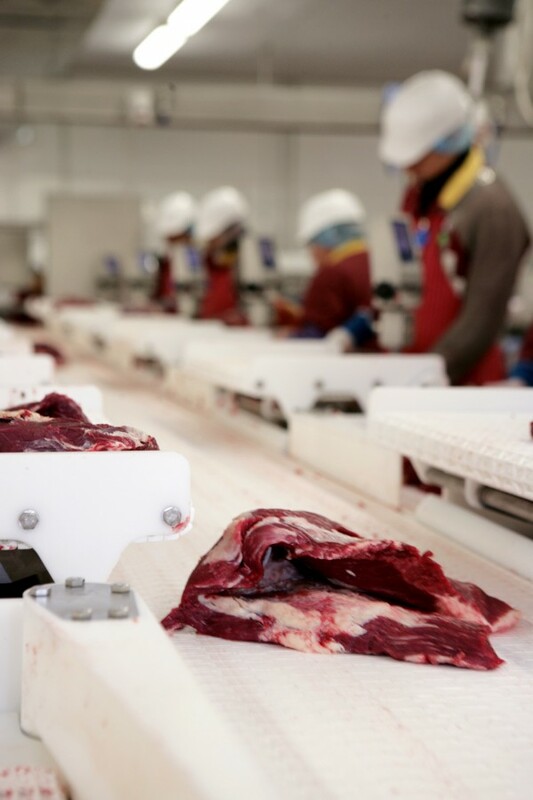 PricewaterhouseCoopers’ administrator Simon Theobald said options for the sale of the Australind meat processing business were being considered. He said WA’s small, family-owned abattoirs were struggling in the face of high stock prices, low availability and stiff competition from major processors, which had taken its toll on Goodchild. A creditors’ meeting for Goodchild Abattoirs will be held on August 30.